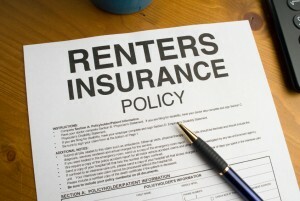 Started in 1995, TorontoRentals.com has become one of Canada’s largest apartment rental sites. By staying ahead of the latest technological trends, TorontoRentals.com offers top-tier user experience to potential renters looking to find their next home. TorontoRentals.com strives to make the painful process of searching for a rental home easier. 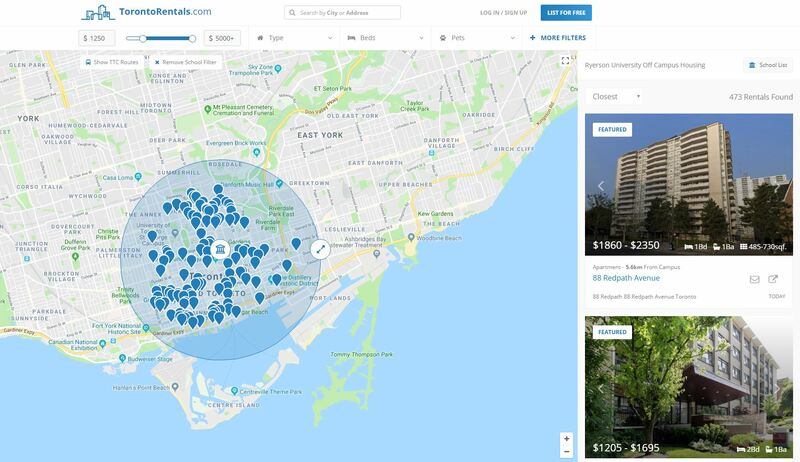 From TorontoRentals.com’s off-campus housing page, students find their campus on a map or from a list. Each Toronto university or college, as well as any sub-campuses that are in the GTA, can be found there. The site then shows available listings around that campus within a radius equivalent to 30 minutes walking distance. If you click the TTC button on the map subway lines are displayed to help those students who want to ride into school, and a handy radius resizing feature makes it easy for cyclists who can bike in from a bit further away. This new off-campus housing feature is built on top of TorontoRentals.com’s industry-leading apartment listing interface. Functions like narrowing searches by price, number of bedrooms and other filters make the entire process that much easier. The idea came after talking to students in Toronto who mentioned how frustrating their apartment hunting process was. TortontoRentals.com saw the opportunity to help students locate rentals close to campus by creating a custom map tool for easy navigation. Since 1995, TorontoRentals.com has redefined the rent-seeking process by seamlessly blending Toronto’s rental listings with an interactive and practical visual platform. Rental seekers from across Canada and countries around the globe are greeted with an industry-leading user interface. 3D and virtual tours add transparency to the renting process for its thousands of daily visitors. 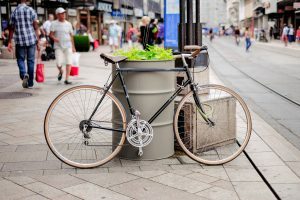 From product design, to smoothly functioning tech, to personal customer support TorontoRentals.com is transforming into an innovative market leader. To learn more, view available apartments for rent or, list a rental, visit TorontoRentals.com.